Tacori fine jewelry is manufactured in the USA at their design studio in Hollywood, California and is available through their network of high quality retailers. 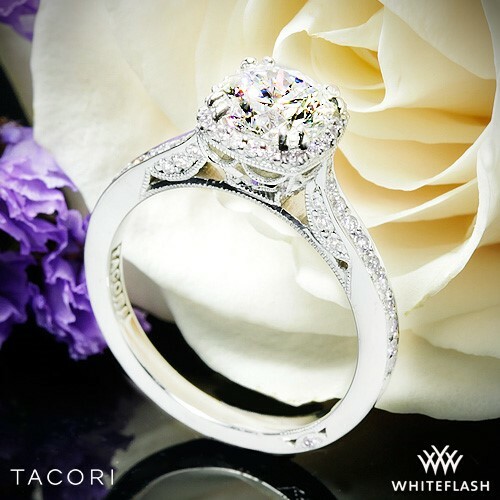 Any authorized Tacori retailer can place an order for you and assist you with special requests and service after the purchase. 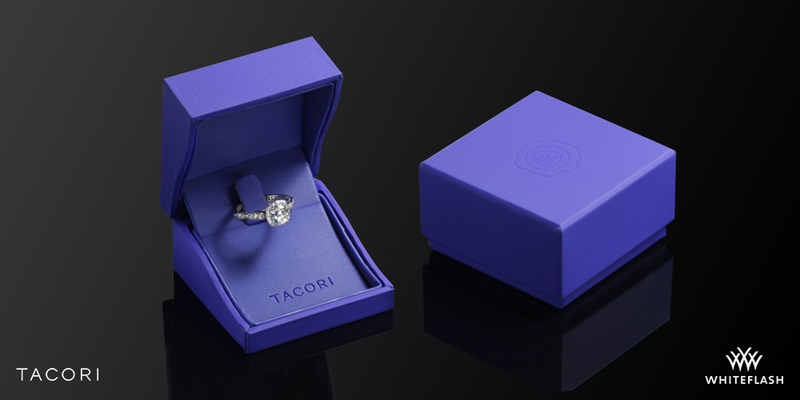 You can expect delivery of Tacori special orders within 4 weeks. That time is shortened if the retailer has the item in stock for your size and shape of diamond and the appropriate finger size. The foundation of the brand is clearly the engagement ring, so that is the logical starting point for a discussion of Tacori attributes and differentiators. Tacori designs are extremely intricate and require immaculate attention to detail. 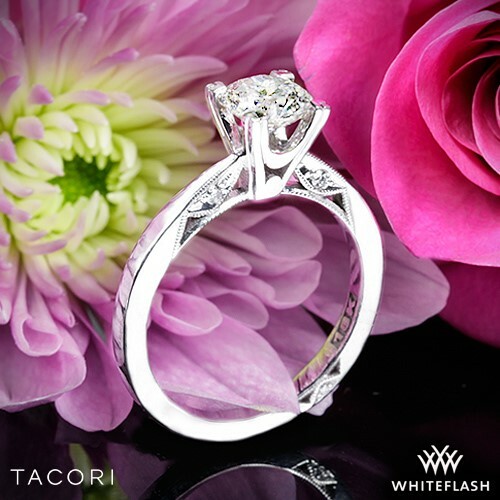 Their signature element is the half moon crescent, which is seen in one form or another across their entire line, making Tacori styles immediately recognizable. The Tacori bridal line consists of several distinct collections, each one delivering on a different general theme. Below are a few of the notable collections available and a little bit about them. Each collection in its entirety can be accessed by browsing the Tacori website. 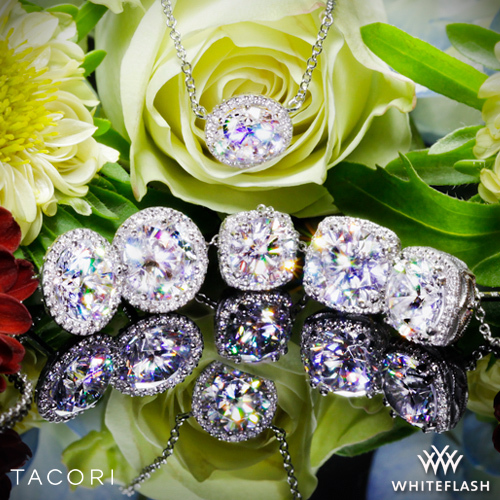 The single most popular Tacori collection is the Dantela. So much so that Dantela styling is used in the Encore Collection of studs and pendants (more about Encore below). The Dantela collection features a perfectly engineered rim of accent diamonds tracing the outline of the center diamond to quietly frame and enhance it. Dantela means “lace” and the intricate and open gallery arising from the foundation presents the centerpiece like sparkling lace with windows of light that create brilliant views from all directions. For a design that is super feminine and thoroughly Tacori from foundation to ceiling, check out this bestselling collection. The Royal T collection is designed for larger diamonds with styles that are bold and ornate. This is the ‘showiest’ and most impressive Tacori collection and is comprised of the most popular designs drawn from other collections scaled up for the most powerful presentation. Designed for center diamonds from 2 to 6 carats, the styles in the Royal T collection are intended to ensure that yours is the only diamond in the room. If you are in the market for a show stopper, you will find your treasure here! As the name implies the Simply Tacori collection is understated. Designed for the shopper looking for a classic solitaire, but with enough of a Tacori touch to be distinctively ‘designer”. With a clean, crisp look and feel, the Simply Tacori collection features just enough of the signature half moon crescent design element to be distinctive. 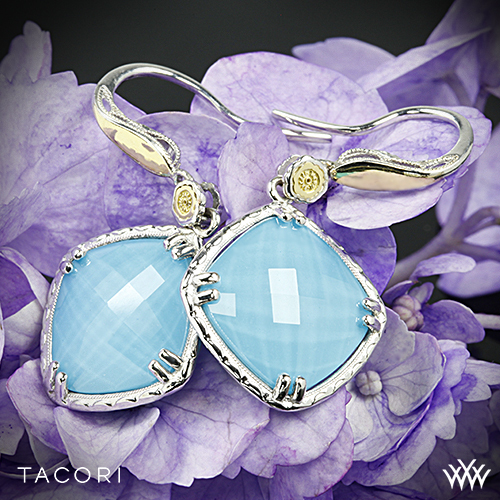 This collection is the “clean white shirt” of the Tacori brand. The signature Tacori design element is the copyrighted half moon crescent. It appears across the entire Tacori line in various forms, and in the Tacori “stamp” in the lower portion of each ring. In the Classic Crescent collection the inner face of each ring is adorned with crescent patterns each containing a small diamond. 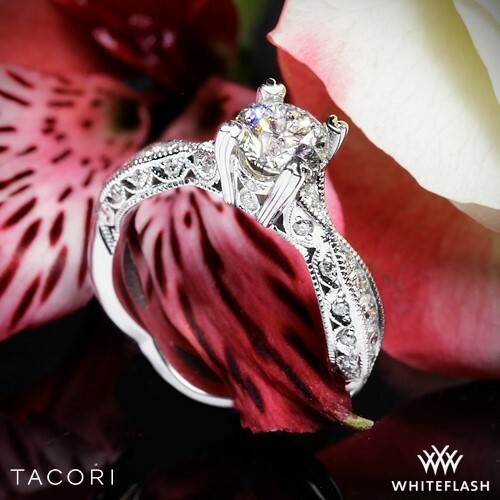 The overall look is fancy, intricate, and distinctively Tacori. This collection is perfect for the woman who desires styling and workmanship of heirloom quality. This collection features a variety of halo designs. Tacori refers to halo as a ‘bloom’ expanding and growing the ring around a center diamond like a flower unfolding its petals for full effect. This brilliant collection consisting of bloom and double bloom selections is a veritable Garden of Eden! The Full Bloom collection features oversize ‘spotlight’ diamonds in the halo, creating a blossoming effect like a flower unfolding to its largest state. The bolder accent diamonds create a major bling factor that can double the appearance of the feature stone. If you are looking for a halo design with pop, you will find it in the Full Bloom collection. Matching wedding rings abound through the collection making it possible to find a match for virtually every engagement ring style. And gents are not short changed in terms of selection or design artistry. Tacori Men’s Bands are ideal for the upscale gent who wants to go beyond the basics with a wedding ring to represent his unique style. Tacori wedding bands for men are quite naturally the perfect complement to her Tacori engagement ring. Following the engagement and through the journey of life there are important events to be celebrated. For wedding presents, anniversaries, and push presents, diamond studs and pendants are classic gifts to commemorate these occasions. Accenting and accentuating the wedding set, Tacori’s Encore collection provides an unmistakable touch of the designer’s style to these tried-and-true staples of the jewelry box. Featuring styling seen in the Dantela collection with a precision bloom of small diamonds hugging the center, the feature diamond is elegantly embellished with subtle brilliance. Tacori offers the Encore collection without center stones providing the opportunity for the customer to choose their own center diamonds or use their existing stones. This is the perfect option for resetting those simple studs into something more exciting. 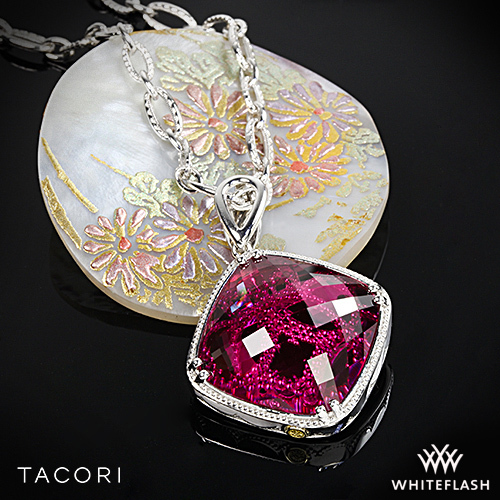 In addition to the staples such as diamond pendant and drop that are worn with regularity, Tacori also offers a vast array of fashion styles in bold forms and colors. Primarily working in sterling silver with a touch of 18K gold, and leaning heavily on a variety of semi- precious gemstones, there is collection and a style for every taste and occasion. A separate fashion collection that is particularly well suited to the wedding ceremony is the Something Blue collection. Featuring rings, pendants, earrings and bracelets in sterling silver with a variety of gemstones in the blue hues, items in this collection are beautiful and affordable. This makes them an ideal accessory for the bride to wear on her wedding day as the “something blue” to bring a lifetime of good luck. They also make wonderful brides maids gifts. While the number and diversity of styles encompassed by the many Tacori collections is quite extensive, there are times when a customer wants something a little different. 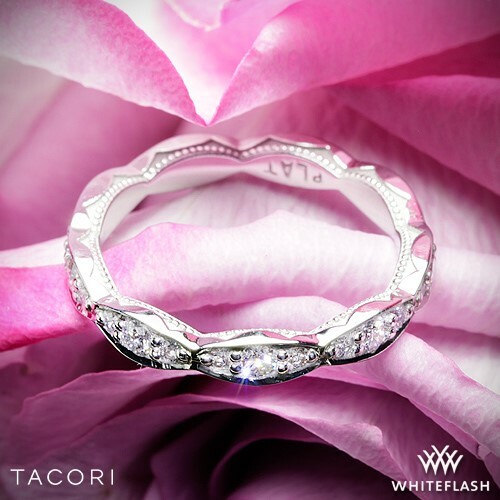 As an added dimension of their value proposition, Tacori offers customization of bridal designs in their catalogue. A customer can request anything from a relatively small tweak such as change in band width, to a complete custom project. Prices and delivery times may be impacted, and certain requests might not be feasible. 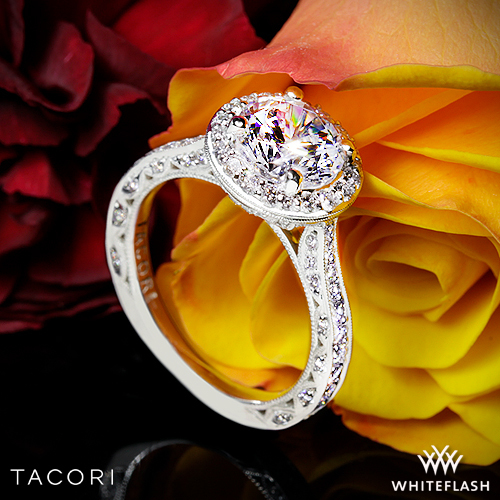 But don’t hesitate to inquire with an authorized Tacori retailer if you have a special request. 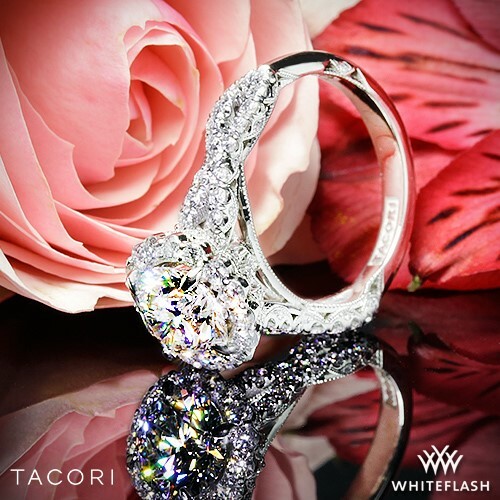 To underscore the uniqueness of their designs Tacori even has a special way of communicating their design elements. They don’t talk about ‘shanks’ – the bottom of the ring is the ‘foundation”. 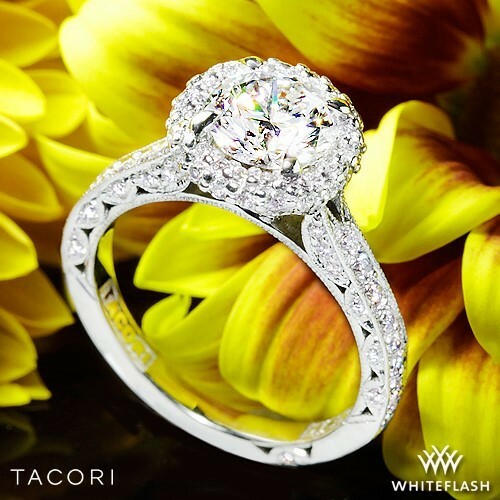 And what is commonly referred to as a ‘halo’ is known as a ‘bloom’ in Tacori-speak. The setting for the center diamond is not a ‘head’, it is a ‘crown’. The top of the ring as seen from ‘aerial’ view is referred to as the ‘ceiling’, and when viewed through the finger, the side view is called the ‘inner face’. Tacori engagement rings reflect the artistry and passion of Haig Tacorian, the patriarch of the Tacorian family. Having emigrated from Europe with his wife Gilda in 1969, Haig Tacorian brought with him unique skills and vision that paved the way for phenomenal success in the competitive world of fine jewelry design. 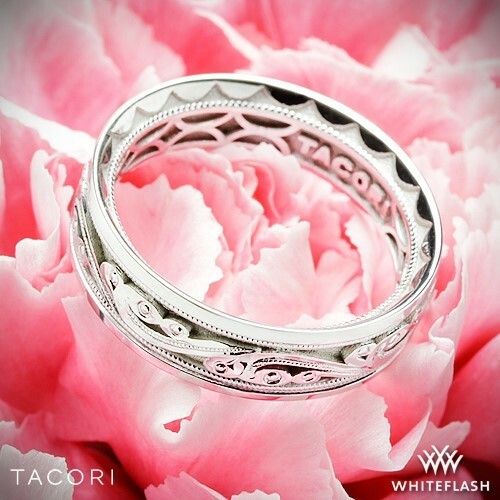 Today, he is still very much involved in the business that he created, but the next generation of Tacorians are now taking the company to new heights. Son Paul and daughter Nadine along with several other family members are moving the company into the future with the same passion for beauty and quality that has been at the heart of Tacori for four decades.